We have hand picked each item in the Meguiar's Foam Pad 5" Kit because they are highly effective when paired together. To create the best kit possible we utilize our years of detailing experience, combined with input from some of the best detailers around the country. We are confident you will get outstanding results with each item and really enjoy how your vehicle looks afterward. Save $5.97 off of the retail price of individually purchasing these items! 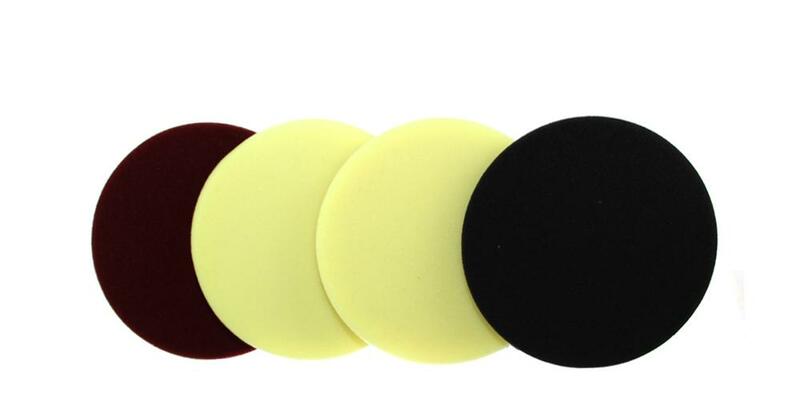 Meguiar's Soft Buff DA Foam Polishing Disc (5") - polishing disc that makes quick work of medium to light imperfections! Meguiar's Soft Buff DA Foam Cutting Disc (5") - great foam cutting disc that removes medium to heavy imperfections with ease! Meguiar's Soft Buff DA Foam Finishing Disc (5") - high quality finishing disc to remove light imperfects and leave behind an amazing finish! Can't have too many pads! Bought this after buying the PC starter kit. Use the great advice found on the DI site and experiment a little as you correct your paint. Try not to smile when you are done!